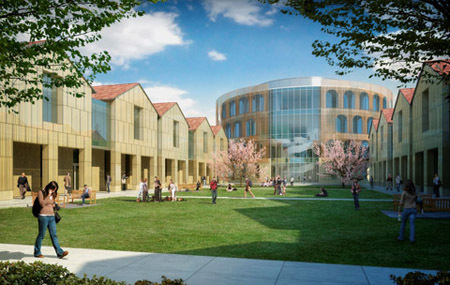 LSU is banking on reduced construction costs in a new proposal to jump-start its planned Business Education Complex. LSU now plans to use an internal bridge loan, instead of previously proposed new market tax credits, to fill the university’s funding gap for the $60 million project. “This is a critical time, and we need to push forward,” LSU Chancellor Michael Martin said on Tuesday. Some in the LSU System office and on the LSU Board of Supervisors had concerns about using complicated new market tax credits, Martin said, especially because LSU had never ventured into that arena before. Because construction costs are reduced after previously going sky-high in the wake of Hurricane Katrina now is a good time to use a bridge loan and hope that construction bids come in well under the $60 million budget, Martin said.